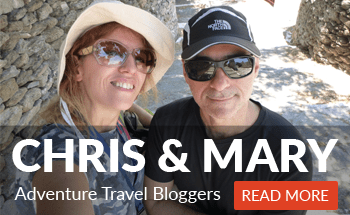 No matter whether you arrive to the island of Milos by boat or by plane, you will immediately realize that you have arrived to the crystal blue water paradise of the Aegean sea. 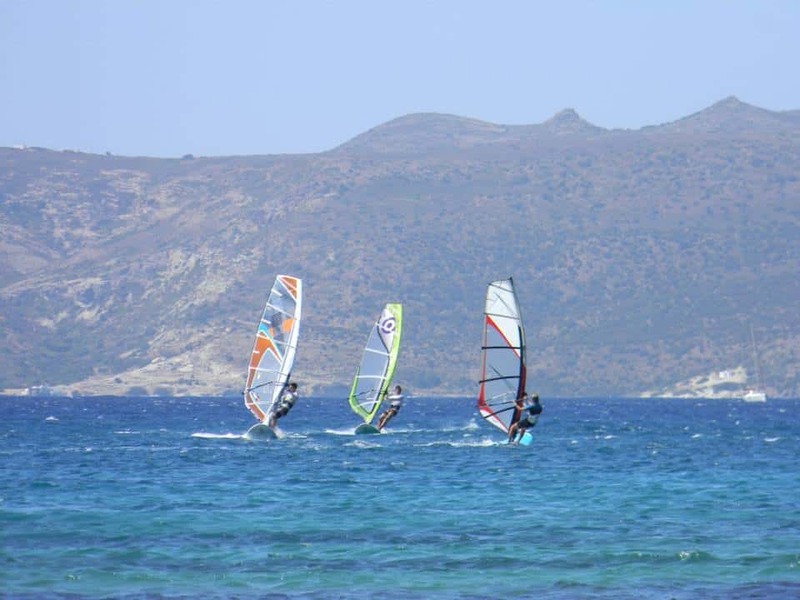 Making sure you have safe, fun and rewarding windsurfing sessions in the sandy Milos bay of is our main goal. 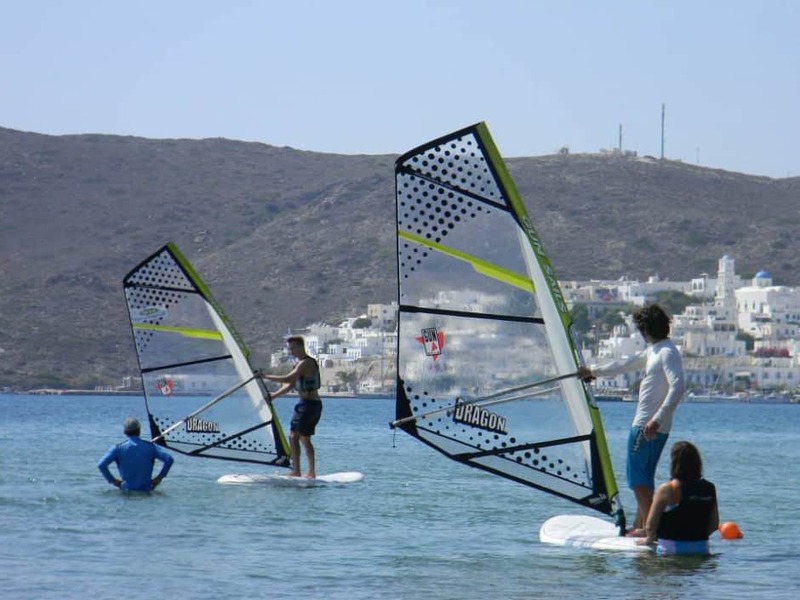 Nothing must spoil your stay and windsurfing experience to Milos island. 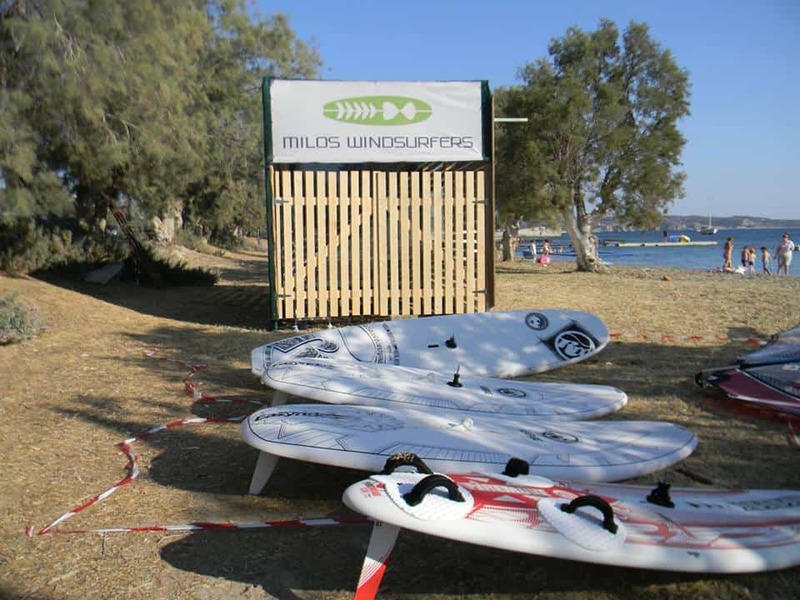 Milos Windsurfers is the place where you can experience fun and safe windsurfing. 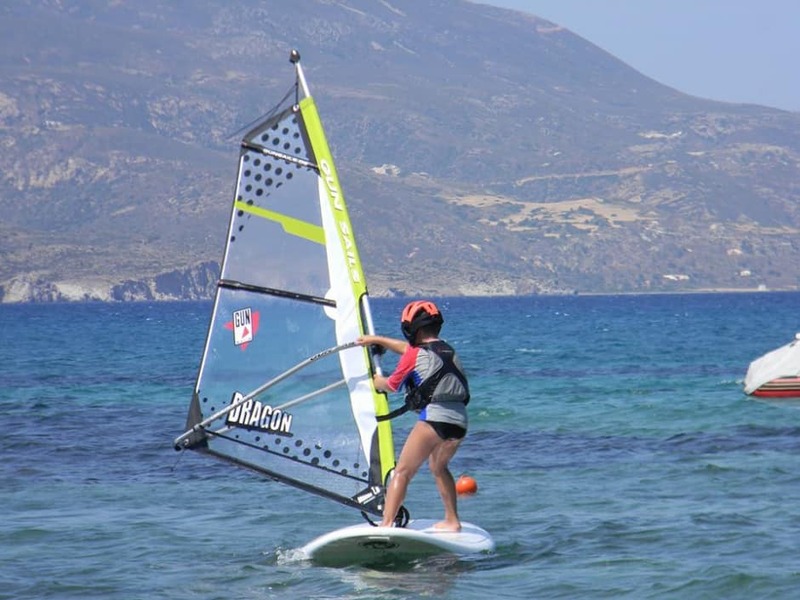 Our methods and equipment cover both beginners and experienced windsurfers. We are located within walking distance (a 10΄-15΄minutes walk) from the port of Adamas. 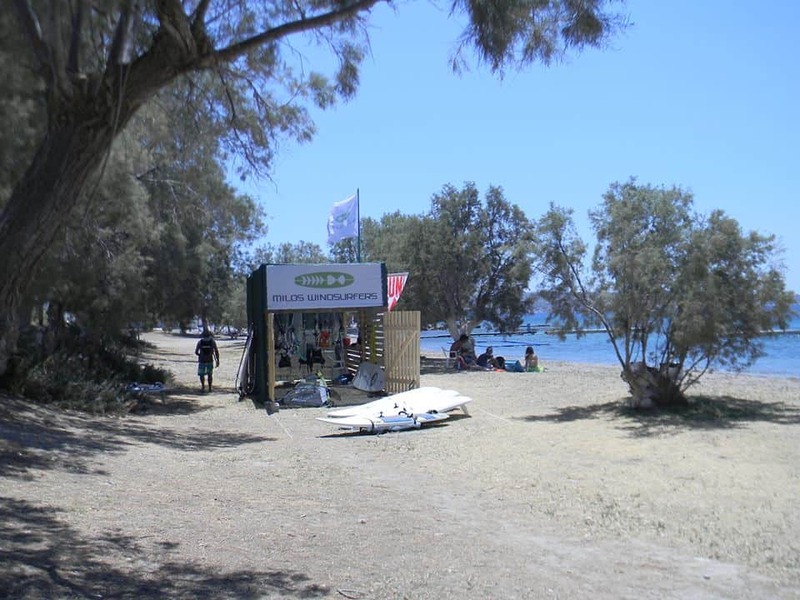 The spot is ideal for rewarding windsurfing sessions. Our shallow sandy beach makes your first introduction to w/s a pleasant and safe experience. Beach starts couldn’t be any easier. Wind conditions are pretty stable throughout the whole summer (a local N-NE wind called meltemi) with a typical variation during the day. In the morning and up to the early noon hours, medium side-off winds are perfect for beginners and intermediate windsurfers who want to improve their sub-planning tacks and gybes. Planning addicts can go sailing on our larger size freeride boards, or even try the formula experience. Later on, the wind picks up, and it’s time for planning conditions. 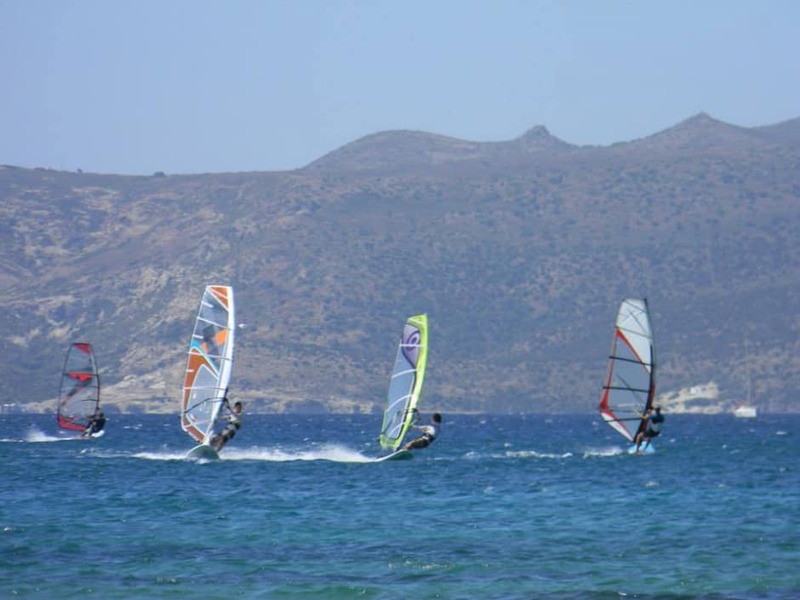 Our freerides will provide all the fun and excitement recreational windsurfers are after. 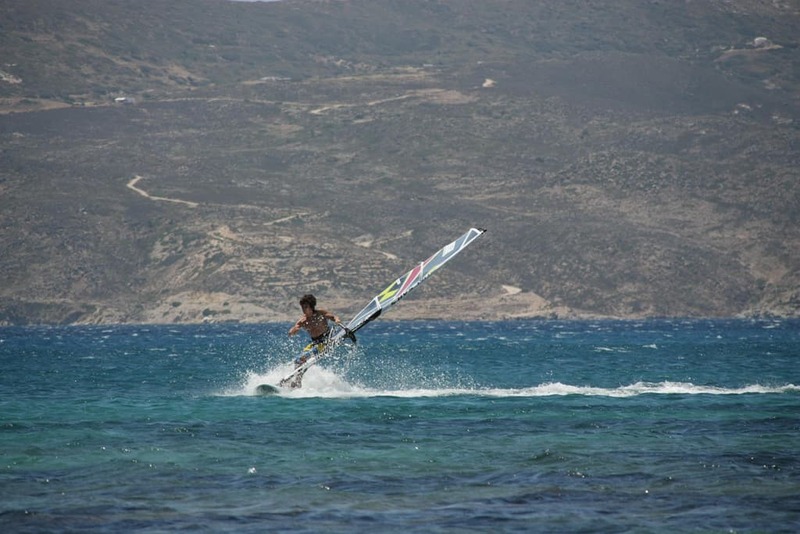 — Article provided by Milos Windsurfers. Contact the organizers through +30 6944315432, +30 6989679969, +30 6973293463 or through their contact data below.